This latest BUMPER issue, with a price tag of £5.99, is out now! 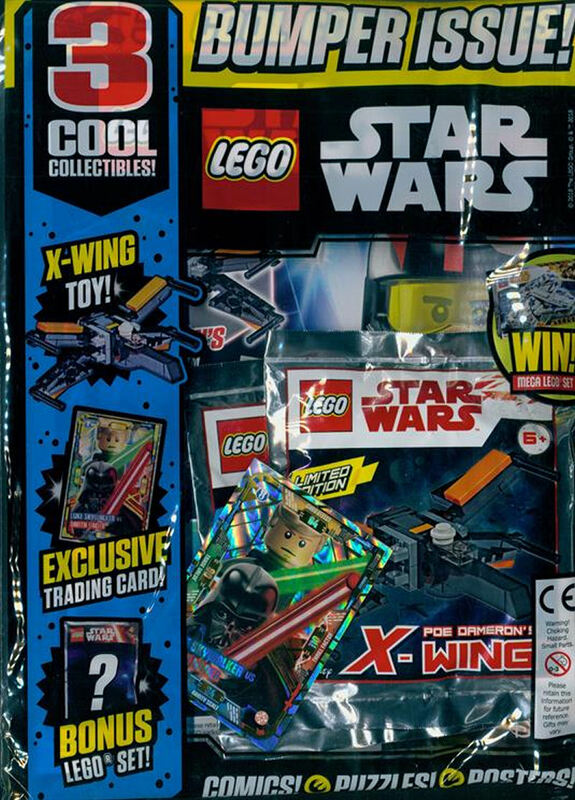 In addition to original comic strips, games, puzzles, posters and competitions is a brand foil bagged Poe Dameron's X-wing (that is different to the 30278 polybag from 2016) build plus an extra mini set from an earlier magazine - and a limited edition LEGO Star Wars trading card. The magazine is only licensed for distribution in the United Kingdom and is available at all good newsagents. Overseas readers can get theirs through an international magazine service. The next issue is due out on December 5th.